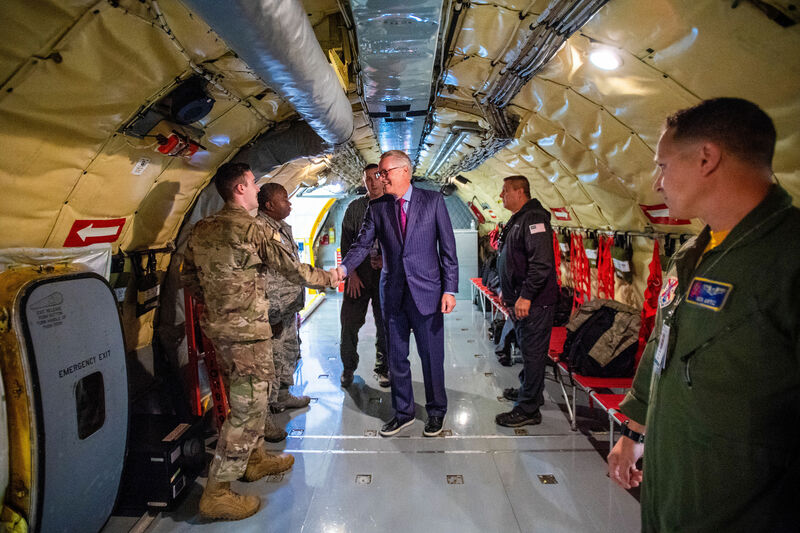 Delta people, military service members and families packed the TechOps facility in Atlanta Friday to honor the armed forces and tour aircraft not typically operated by the commercial airline. In honor of Veterans Day, the hangar was instead filled with vintage military jets flown in from across the United States. 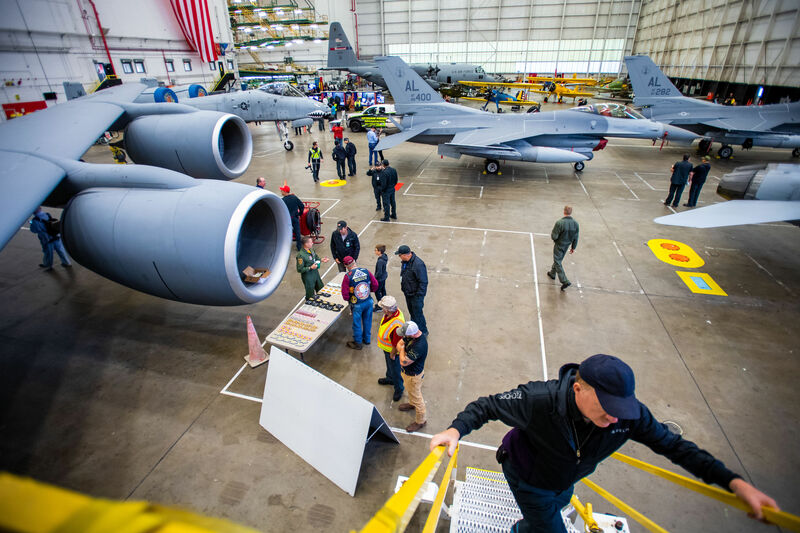 "It's an honor that we're able to pay tribute to all the veterans at Delta," said Mark Norris, a Marine Corps veteran, Delta Aircraft Maintenance Technician and 2018 Chairman's Club honoree who organizes the event each year. "Eight years ago, we started with a few pictures. Then, memorabilia and uniforms. Now, we have airplanes and helicopters and people across Delta come to see us — it's grown into something much bigger." Aside from aircraft like the Vietnam-era Bell AH-1 Cobra helicopter or the Lockheed C-130, military memorabilia, medals and even rocket-propelled grenades also lined the floors for viewing, along with stands for donations to Toys for Tots and other organizations in support of veterans and their families. ​"The one thing I want everyone to reflect on is what our veterans have done for us, given us and what they're bringing home. Be compassionate, sensitive and aware — we lose 20 veterans a day to suicide. Keep them in your hearts, they need to know we're here for them," he said. 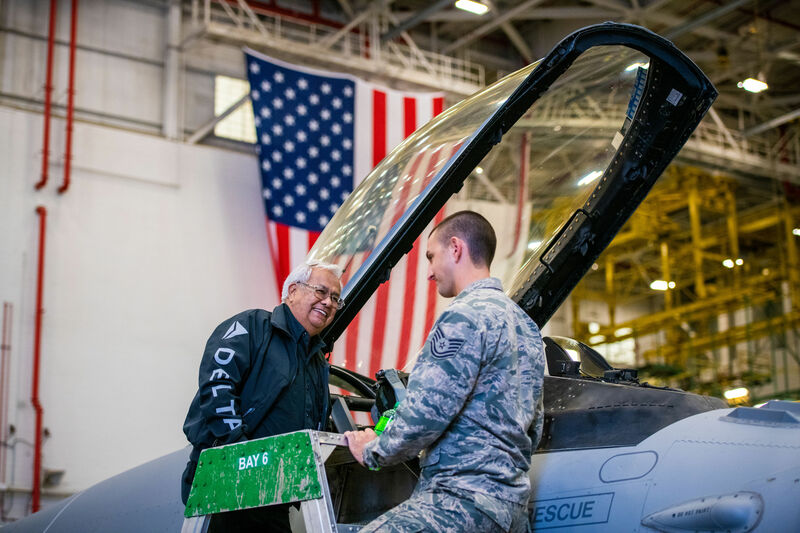 Ben Ortiz, a member of the National Guard Reserve and Project Leader on Delta's maintenance programs, said the airline's support for its active military members provides a peace of mind during deployment. Ortiz arrived in Atlanta by piloting the 1963 model of the Boeing KC-135 Stratotanker, a refueling aircraft for many of the fighter jets on the floor at the event. "This event means a lot to the veterans at Delta. It tells us the company respects our service, and they make sure we know they support us when we're called up. It's a good feeling to know we have job security when we're serving," Ortiz said. Delta CEO Ed Bastian expressed his gratitude to the men and women of the armed services, including the 3,000 members of the Delta family who are currently serving in the military and the 10,000 in total both active and veteran who make up Delta Air Lines. "Veterans Day is a special time for us," he said. "Our ability to continue to provide the support that's necessary to our veterans is very important. We are a company that gives back and the most important group we can give back to are those who served and sacrificed for our country to keep us safe. Thank you every single day from the bottom of my heart for what you do for Delta Air Lines."